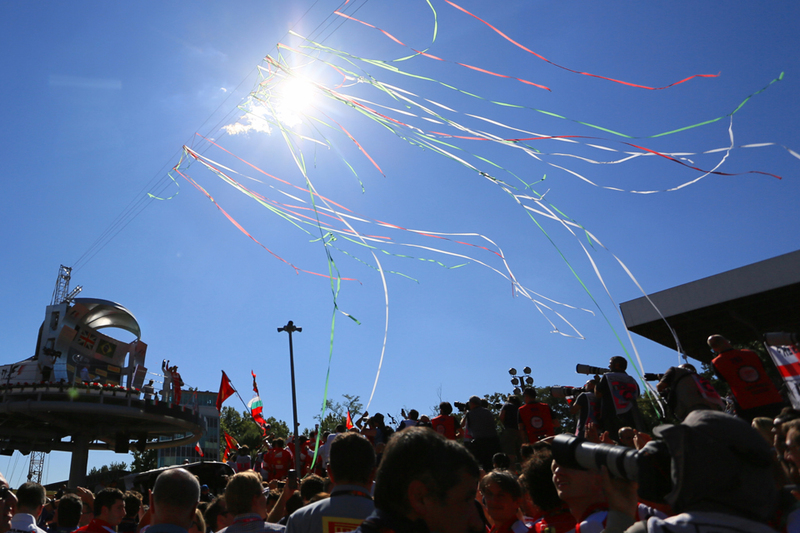 So what is it about Monza? On one level it's tricky to explain. The venue lacks the gleaming modernity of some. It has never entirely shaken its air of vague chaos. Aspects of the crowd aren't to everyone's taste. Unlike Spa it isn't much of a driving challenge. It can't even be counted upon to produce a wonderful race - they often are follow-my-leader. So, what it is? Well we can start with that Monza's heritage is unparalleled - racing cars have been in combat around this Italian royal park going all the way back to 1922, and the layout - other than the addition of chicanes and the coming and going of a fearsome banking section - has remained unaltered for almost all of the time since. Only once, in 1980, did Monza not feature on an F1 calendar. No other track, not even Monaco's, can boast such ubiquity. It has been the scene of the most gallant triumph and awful tragedy. All the greats have passed through Monza's gates. Many have been defined here; some have perished. The ghosts of legends past still seem tangible; whispering in the trees. You never feel alone in the royal park. It features too a conspicuous visual reminder of what the sport used to require of its drivers with the vast banking that broods over the track (though some dolt decided recently it was a good idea to resurface it...). Monza's ambience is inimitable - all cooked intensity. The temperatures usually are high, the Italian late summer sun usually beats, accentuating the deep colours of the park. While the shadows that stretch across the track from the trees are a trademark. Then there is the sheer passion of the Ferrari-loving tifosi that gather in vast numbers, bedecked in red and providing a fevered atmosphere. 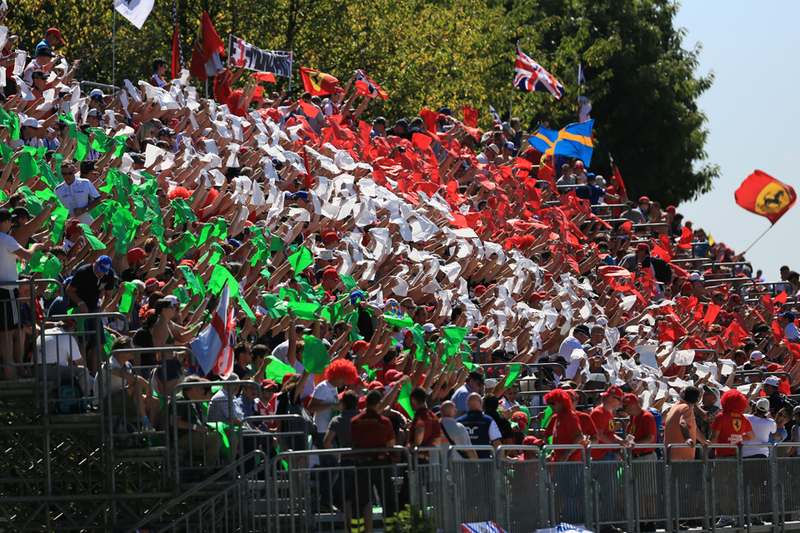 Other venues' crowds have plenty going for them, but they're still not Monza's. 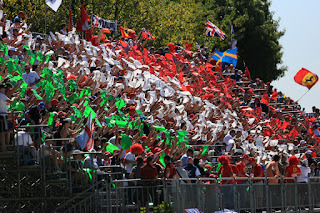 Not even Imola's gatherings in the same country quite matched it. And another way that Monza is unique these days is in its layout. It has always been synonymous with speed, and still today it boasts the highest average of all. As mentioned it isn't undulating Spa, rather it is dominated by lengthy straights separated by chicanes. Only the famous Parabolica would look apt at the Ardennes venue. Still we entered the Spa-Monza high speed double header assuming it'd be a Mercedes walkover, but in Belgium Ferrari got much closer to Merc than most anticipated, and Sebastian Vettel was faster than Lewis Hamilton in race trim. Ferrari also often keeps something up its sleeve for its home round, and there's talk of an upgraded engine. On the other hand a stricter clamp down on 'oil burning' is coming in for this one, and it's thought this will impede Ferrari more than Merc. 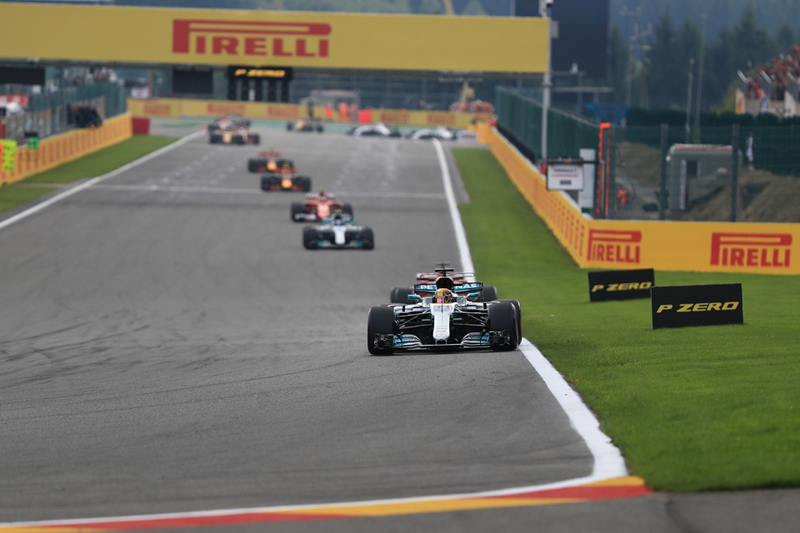 We may have a similar scenario to Spa too, wherein Mercedes is stronger in qualifying - due to its ability to crank its engine up therein - and that this counts for a lot. Overtaking is not easy anywhere and at Monza it has for a while been difficult even with the long straights - cars don't follow each other easily through turns such as Ascari, plus the required skinny rear wings mean a relatively weak DRS. In addition race strategy options are likely to be limited (more of this anon). Qualifying may not be simple though, as long range forecasts have showers around on Friday and Saturday. Yet at the front it's likely to only be about those two perennial teams. Red Bull with its down-on-power Renault unit often regards Monza as a damage limitation exercise, though Daniel Ricciardo showed again in Spa that he's capable even so of scavenging unlikely results. So would Max Verstappen if his car lasted longer than 10 minutes, and he's to get a grid penalty this weekend following his Spa failure. Of the rest we'd look ordinarily to the Mercedes customers to be next up, but they have their own problems right now. Force India is experiencing a soap opera between its drivers and many are intrigued to see the impact of it all on track this weekend. While Williams, before the race at least, was woeful at Spa. 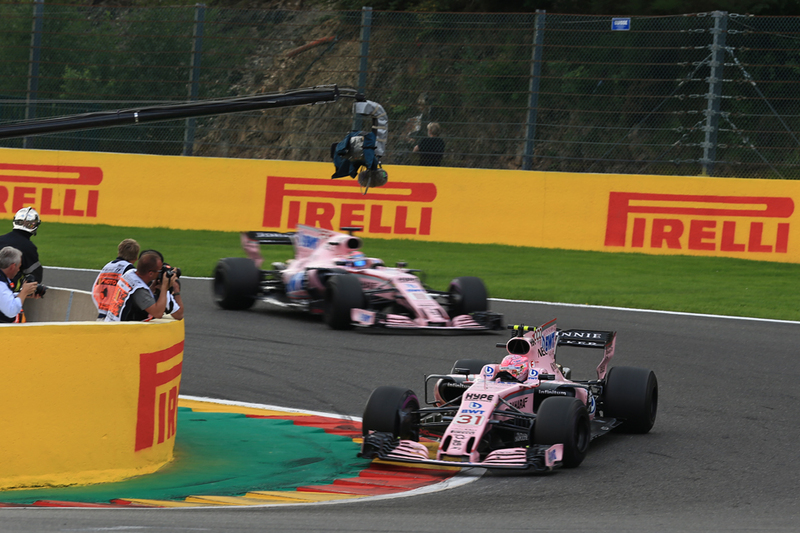 Will the Force India pilots play nice at Monza? Still the Grove cars should go a bit better here as there are fewer high load corners that have been giving them bother. Valtteri Bottas starting fifth for Williams at Monza last year seems very long ago however. Monza races have traditionally been one-stoppers, a consequence of low tyre wear, a big pitstop loss time from a lengthy 80kmh limited pitlane alongside a full blast straight, and the difficulties in overtaking noted. The one-stoppers also have been related to conservative compound selections by Pirelli, and the Italian company has tried to spice things up in recent visits by going more aggressive year on year. Last year it brought the supersoft for the first time, and most indeed did need to pit twice, though Merc got through Q2 on the soft compound and therefore was able to start on it so still did the de rigueur one-stop. Ricciardo might have managed it too starting on the supersoft but Red Bull eschewed the option. The same compounds have been selected this time, and with this year's more durable Pirellis one-stoppers may become the norm again. 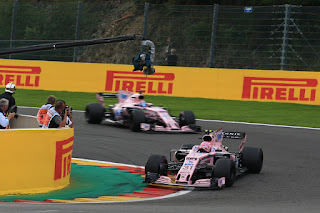 Yet even if one-stoppers are settled on there still is some room for variation, such as with Ricciardo in 2015 starting 19th and finishing eighth as well as Sergio Perez in 2012 passing several cars to finish second, both via the 'reverse' approach of starting on the harder compound. Ricciardo also made up several places in 2014 from delaying his stop so to attack on fresher tyres later. Beyond these simply timing your only halt as early as you dare to undercut opponents will be the main strategy play. But somehow such things don't diminish from what it is about Monza. You either got soul or you don't. Monza has it. Monza was definitely has a lot of work and definitely Monza has a race to forget.